Financial data is always at the back of the business plan, but that doesn’t mean it’s any less important than such up-front material as the description of the business concept and the management team. Astute investors look carefully at the charts, tables, formulas and spreadsheets in the financial section because they know this information is like the pulse, respiration rate and blood pressure in a human being—it shows the condition of the patient. In fact, you’ll find many potential investors taking a quick peak at the numbers before reading the plan. 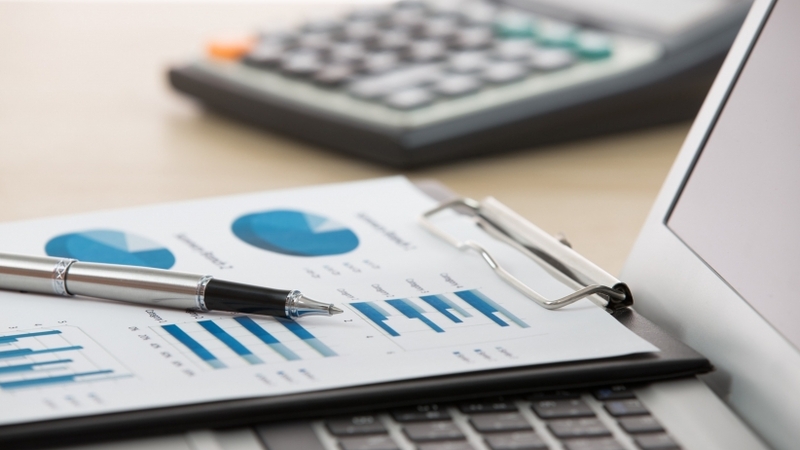 Financial statements come in threes: income statement, balance sheet, and cash flow statement. Taken together they provide an accurate picture of a company’s current value, plus its ability to pay its bills today and earn a profit going forward. This information is very important to business plan readers. You can typically gather information and use Excel or another financial program to create your spreadsheets. You'll also find them available in most business plan software; these programs also do the calculations. An income statement shows whether you're making any money. It adds up all your revenue from sales and other sources, subtracts all your costs, and comes up with the net income figure, also known as the bottom line. Income statements are called various names—profit and loss statement (P&L) and earnings statement are two common alternatives. They can get pretty complicated in their attempt to capture sources of income, such as interest, and expenses, such as depreciation. But the basic idea is pretty simple: If you subtract costs from income, what you have left is profit. To figure your income statement, you need to gather a bunch of numbers, including your gross revenue, which is made up of sales and any income from interest or sales of assets; your sales, general and administrative (SG&A) expenses; what you paid out in interest and dividends, if anything; and your corporate tax rate. If you have those, you’re ready to go. If you’re a startup and don’t have any prior years’ figures to look at, look for statistics about other businesses within your industry. The most important question to ask is: What has been the experience of similar companies? If you know that car dealers across the nation have averaged 12 percent annual sales gains, that’s a good starting point for figuring your company’s projections. If the income sheet shows what you’re earning, the balance sheet shows what you’re worth. A balance sheet can help an investor see that a company owns valuable assets that don’t show up on the income statement or that it may be profitable but is heavily in debt. It adds up everything your business owns, subtracts everything the business owes, and shows the difference as the net worth of the business. Actually, accountants put it differently and, of course, use different names. The things you own are called assets. The things you owe money on are called liabilities. And net worth is referred to as equity. A balance sheet shows your condition on a given date, usually the end of your fiscal year. Sometimes balance sheets are compared. That is, next to the figures for the end of the most recent year, you place the entries for the end of the prior period. This gives you a snapshot of how and where your financial position has changed. A balance sheet also places a value on the owner’s equity in the business. When you subtract liabilities from assets, what’s left is the value of the equity in the business owned by you and any partners. Tracking changes in this number will tell you whether you’re getting richer or poorer. Balance sheets can also be projected into the future, and the projections can serve as targets to aim for or benchmarks to compare against actual results. Balance sheets are affected by sales, too. If your accounts receivable go up or inventory increases, your balance sheet reflects this. And, of course, increases in cash show up on the balance sheet. So it’s important to look ahead to see how your balance sheet will appear given your sales forecast. The cash flow statement monitors the flow of cash over a period of time (a year, a quarter, a month) and shows you how much cash you have on hand at the moment. The cash flow statement, also called the statement of changes in financial position, probes and analyzes changes that have occurred on the balance sheet. It’s different from the income statement, which describes sales and profits but doesn’t necessarily tell you where your cash came from or how it’s being used. A cash flow statement consists of two parts. One follows the flow of cash into and out of the company. The other shows how the funds were spent. The two parts are called, respectively, sources of funds and uses of funds. At the bottom is, naturally, the bottom line, called net changes in cash position. It shows whether you improved your cash position and by how much during the period. If you’re seeking investors for your company, you’ll probably need to provide quite a bit more financial information than what is in the income statement, balance sheet and cash flow statements. For instance, a personal finance statement may be needed if you’re guaranteeing loans yourself. Applying business data to other ratios and formulas will yield important information on what your profit margin is and what level of sales it will take for you to reach profitability. Still other figures, such as the various ratios, will help predict whether you’ll be able to pay your bills for long. These bits of information are helpful to you as well as to investors, it should be noted. Understanding and, if possible, mastering them, will help you run your business more smoothly.